This is a curved rectangular Wm. A. 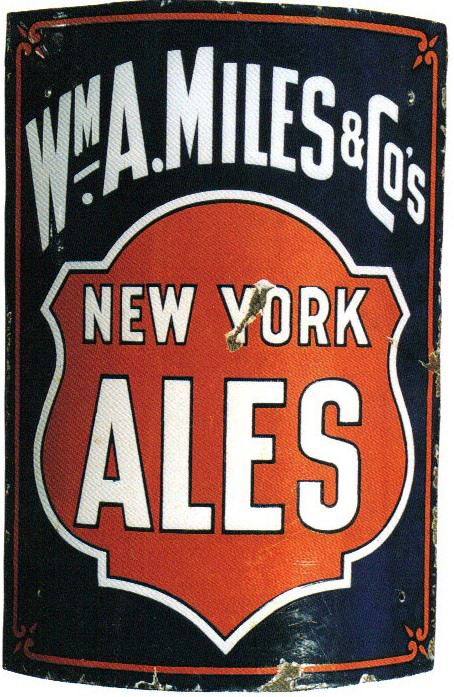 Miles New York Ales porcelain sign. This particular Wm. A. Miles New York Ales sign is black and red with white text. It reads, “Wm. A. Miles & Co’s New York Ales” and features an orange shield in the center of the sign.